After Advani and Murali Manohar Joshi, BJP Set to Drop Sumitra Mahajan From List of Candidates? Confusion over Sumitra Mahajan's candidature turned murkier as reports suggested that during a meeting of BJP leaders, the Lok Sabha Speaker made it clear that either she or Prime Minister Narendra Modi would contest from Indore. file photo of Lok Sabha speaker Sumitra Mahajan and Union Home Minister Rajnath Singh. Indore: After the BJP high command’s decision to drop veterans LK Advani and Murali Manohar Joshi from the list of candidates, speculations are rife in Madhya Pradesh’s political circles that LS speaker Sumitra Mahajan may also meet the same fate. Age was one parameter based on which several BJP leaders were sidelined in the past. So it’s a concerning factor for Mahajan, fondly addressed as Taai, who turns 76 in April. However, in Indore, people reckon her real age to be 78 years. 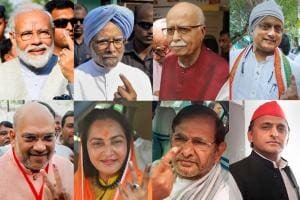 Although Indore goes to polls on May 19, it was a bit unusual for the BJP to not name her in the initial few lists of candidates. The Indore Lok Sabha seat is being seen with enhanced interest this time as rumours are abuzz that former union minister Jyotiraditya Scindia could be the Congress candidate from the seat. Scindia has an extended followership in the Indore region due to his affiliation to the royal family, and in all likelihood, would garner Marathi votes from the region, which has been a stronghold of Mahajan. Congress leader Digvijaya Singh, who has been asked to contest from tough seat Bhopal, could also ‘return the favour’ to Scindia by asking the party to let him contest from Indore, held by the BJP since 1989. The road for Mahajan, an eight-time MP, does not seem much smooth this time. On Tuesday, confusion over her candidature turned even murkier as reports suggested that during core committee meeting of the BJP in Indore, Mahajan had made it clear that either she or Prime Minister Narendra Modi would contest from Indore, and a proposal to this regard was sent to party high command. The move is being seen as a ploy from Mahajan to negate chances of others in the contention. 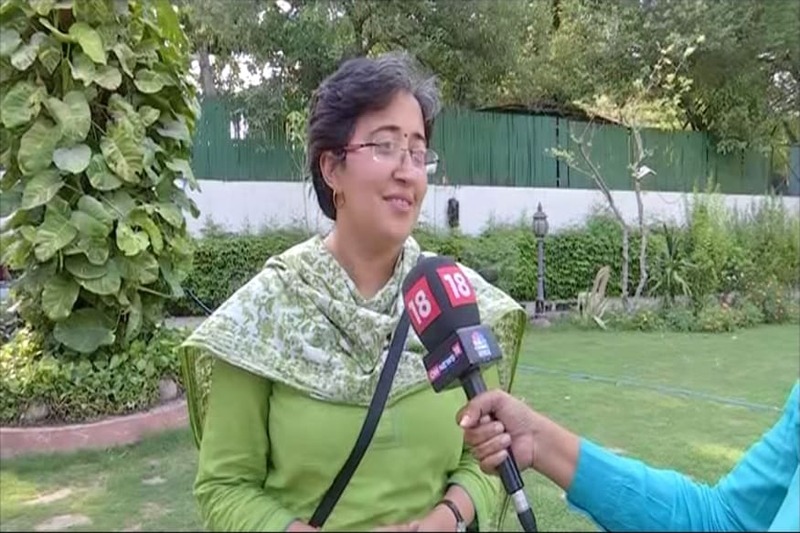 However, later speaking to the News18, Mahajan clarified that she was only joking and no such proposal has been sent to the party high command. It’s also being speculated that Mahajan is waiting for the announcement of Congress candidate as it’s widely believed that BJP general secretary Kailash Vijayvargiya could be named from Indore once Scindia is officially announced as Congress candidate. 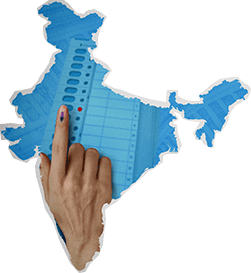 A section of BJP insiders claimed that there are no surprises over delay in Mahajan’s nomination as Indore goes to poll on May 19 in the last phase of polls in Madhya Pradesh. Between all this, Vijayvargiya’s son Akash hinted that besides Mahajan, names of his father and mayor Malini Gaud are also in the contention. He was, however, quick to add that this time the election would be contested on PM Modi’s name only. The controversy over Mahajan’s political fate has deepened further with the fact that her residence, which otherwise remains abuzz with hectic work-related activities, has been deserted in the last few days. Speaking to News 18, Congress state spokesperson Neelabh Shukla claimed that layoffs are underway in the BJP and the party seniors are no longer respected. “Age is a factor for Taai but the BJP is mostly concerned over her diminishing popularity,” Shukla alleged.